Manila, Philippines - The Department of Transportation and Communications (DOTC) announced that Bus Rapid Transit (BRT) system is coming to the Philippines to deliver a fast, convenient, and cost-effective commuting option to residents of Cebu and Manila. “BRT systems around the world have been successful in mobilizing masses of people in dense urban settings, getting them to their destinations reliably through fixed schedules, efficiently through segregated lanes and priority passage, comfortably and safely through modern, well-equipped buses, and affordably through relatively lower capital costs and maintenance expenditures,” Secretary of Transportation and Communications Jun Abaya said. Abaya also said that Bus Rapid Transit system is a game-changer for commuters. 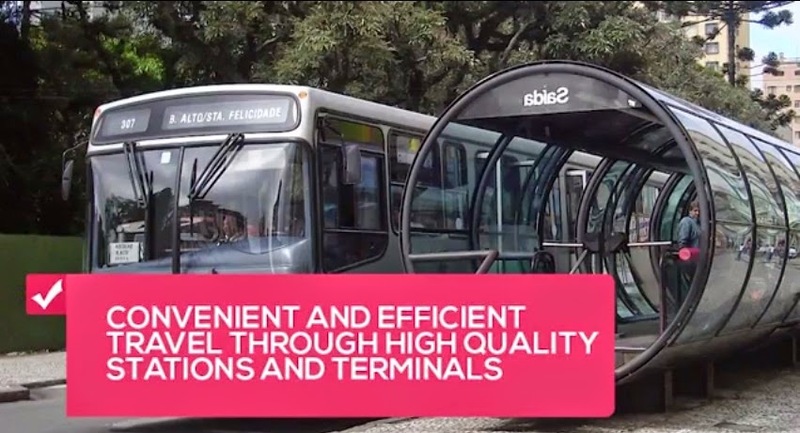 The BRT concept began in Curitiba, Brazil in 1974, but the “BRT” name and the system’s popularity did not come until it was introduced in Bogota, Colombia in 2000. Currently, there are over 200 BRT systems either operating or being built worldwide. Intelligent transport systems or information technologies which ensure the efficient operations of the system, such as automatic signaling which control traffic lights to ensure that the BRT buses are not impeded during trips. After obtaining the National Economic Development Authority’s approval last May to construct the country’s first BRT system in Cebu, the DOTC is now proposing a Manila BRT to serve the Quezon Circle-Manila City Hall route. Both these projects are made possible with a grant and technical expertise provided by the World Bank. The DOTC is now studying other possible BRT locations in Metro Manila, in a bid to provide commuters with a modern, safe, convenient, and efficient mass transit bus system which current transport schemes are unable to offer.